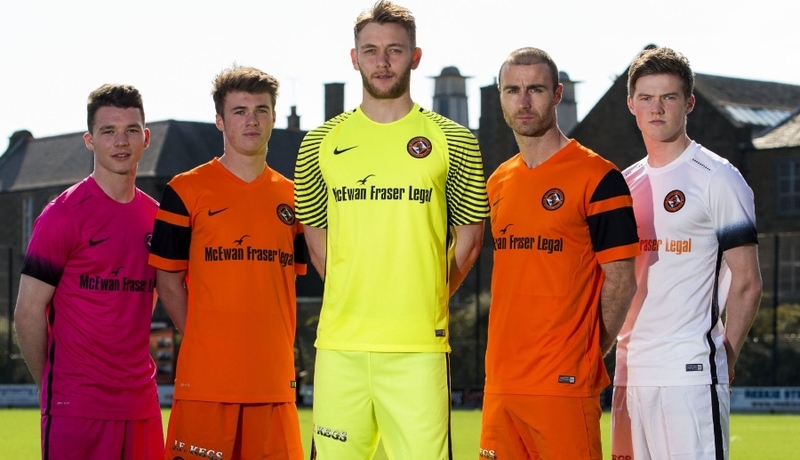 Days before the unveiling of Dundee United's new kits for the 2016/17 season, it was announced that the club had agreed a new deal with Nike which would see their UK professional football club service provider, Just Sport Pro Club, continue to supply kits for the next three years. Included in the deal was a refit of the club shop during the summer of 2016 and the option of a bespoke kit for United from season 2017/18 onwards. In the meantime, United had to be content with a bog-standard Nike template for their 2016/17 home strip. Again, made from Nike's usual Dri-FIT fabric technology, the shirt itself was unlike anything worn by the club in the past - featuring two horizontal black stripes on the sleeves. The most notable thing about the kit however was the decision to match the shirt with tangerine shorts. Although tangerine shorts had been used on several occasions in recent seasons - most predominantly in season 2011/12 - this was the first time that the club had purposely chosen an all-tangerine kit at the start of a season since 2003. After six years as United's main shirt sponsors, Calor Gas's deal with the club expired and they were replaced by UK-wide estate agent McEwan Fraser Legal, who signed a two year deal. Their company logo appeared on the new home shirt along with the Nike swoosh and embroidered club badge. GA Engineering once again had their logo displayed on the upper back of the shirt and JF Kegs now now had their logo displayed on the lower back of the shirt as well as on the shorts. The kit's plain tangerine socks were sponsored by haulage contractor Norman Jamieson Ltd for the third year in a row. The new home kit was first worn in United's pre-season friendly away to Forfar Athletic on July 7th although on this occasion it was worn with black shorts from the previous season's home kit. Indeed, black shorts were also worn with the new kit in the League Cup ties against Cowdenbeath and Inverness CT as the tangerine shorts had not yet been delivered. 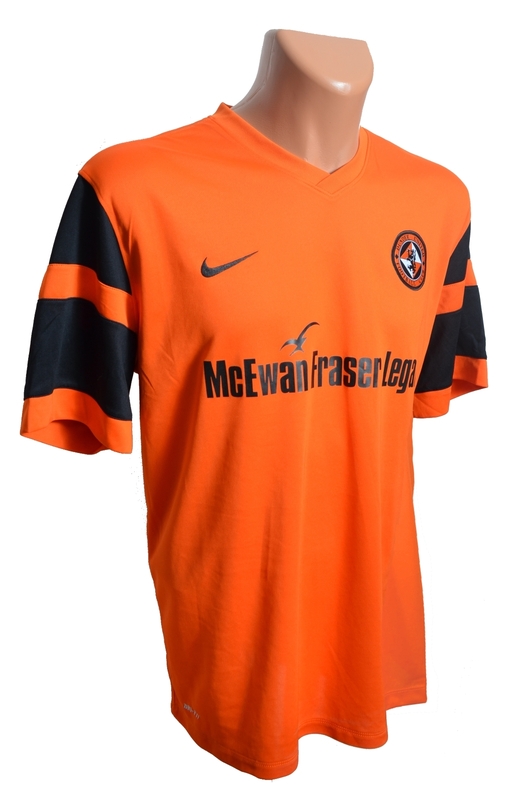 The tangerine shorts were first season against Dunfermline Athletic in United's final League Cup group stage match.